Hi. I'm SuperML. 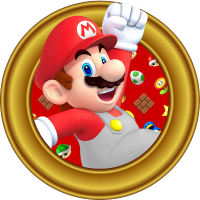 I enjoy Mario games, and I also hack a bit. I'm here mostly for the community, but as I said, I can hack. I mostly hack NSMBDS and Super Paper Mario. I was making the first full hack of SPM (I think), but I'm no longer working on it at the moment. You can check it out here. MySQL - queries: 28, rows: 206/206, time: 0.016 seconds.